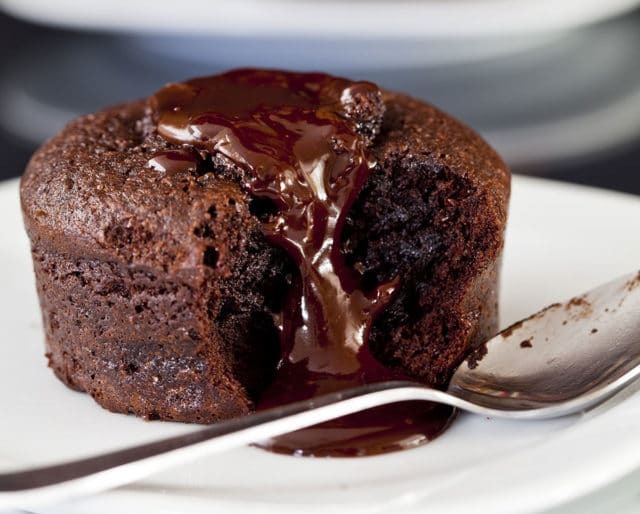 Get your spoons ready, February 28 is National Chocolate Soufflé Day! The chocolate soufflé is the height of French decadence — and deliciousness. The dessert is often associated with momentous occasions, so it’s only fitting that it have its own day to be celebrated. So let’s put on our aprons, pre-set our ovens, and gather our finest ingredients (or head to our favorite French restaurants) and enjoy National Chocolate Soufflé Day! Don your chef’s hat and your favorite apron, put on some Edith Piaf on the stereo, pull up a favorite recipe (we have suggestions) and get cooking! Baking a chocolate soufflé can the perfect culmination to a nice meal, or works just as well after take-out pizza. The most important thing is to serve this impressive dish just out of the oven, so make sure you’ve left room for dessert! If you’d rather leave the baking to the experts, we don’t blame you — and in fact are excited for you to explore the ecstasy of a chocolate soufflé baked by an expert chef! Head to your favorite French restaurant for steak frites, coq au vin, bouillabaisse, or ratatouille and end the meal with a perfect-cooked chocolate soufflé. Magnifique! Make your celebration social by inviting friends over for a friendly and bake-off. Line up ingredients and have your friends compare egg-beating, batter-folding skills, and oven-watching skills, then make things competitive by declaring a winner! The best part? Chocolate soufflé for everyone! French is synonymous with fancy, and just saying the phrase “chocolate soufflé” makes us feel chic and continental. The chocolate soufflé is more delicate than a chocolate cake, more sophisticated than a chocolate pudding, and more interesting than chocolate ice cream. Ordering it makes us feel cosmopolitan, and making it makes us feel like gourmands. The chocolate soufflé is a seriously fancy dessert, but it’s also seriously easy to make. Many people think the dish is hard — we’ve all heard of the dreaded deflated soufflé! But here’s a secret: they are delicious even when imperfect! Chocolate soufflés require simple ingredients and minimal effort in the kitchen and yield maximum and magnificent results. If you like chocolate, you’ll love a chocolate soufflé. Even picky or unadventurous eaters go crazy for this delightful dessert. Skeptical? You’ve probably had one and may not even know it! Chocolate lava cake — the rich cake with a gooey chocolate center that can be found on most dessert menus and frozen food aisles — is in fact a variation on the classic chocolate soufflé!